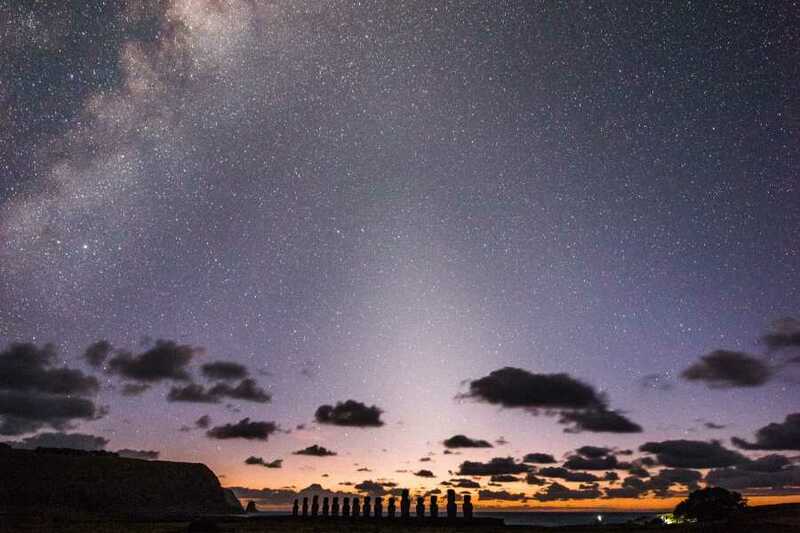 Enjoy the magic of the early morning sky as the starlight fades and the sun rises at the fifteen moai of Ahu Tongariki. Learn about the principles of basic astronomy as your guide points out stars and asterisms of interest to the Polynesian navigators, relating some of the stories and legends that are tied to them, and explaining techniques on how to find certain cardinal points of the traditional Polynesian compass by using the layout of the night sky. 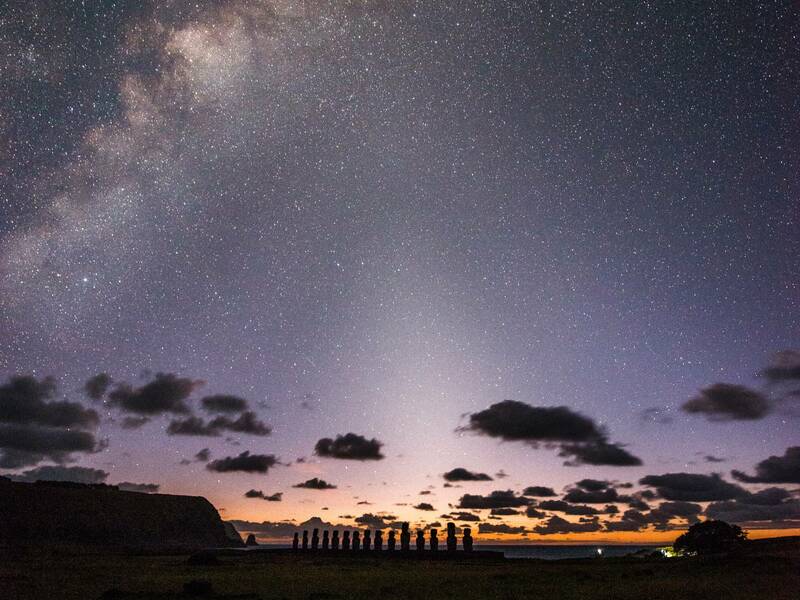 As this tour takes place about 7-8 hours later than our regular Stargazing Tour, the "Rapa Nui Stargazing Experience", the sky that is visible in the early morning is totally different to what can be seen just after sunset, offering unique opportunities for astro-photography of Ahu Tongariki beneath a star-blanketed sky before its backdrop changes with the spectacular light of the dawn. Stars to Sunrise operates from Monday to Friday. Due to the nature of stargazing, there is always a possibility of cancellation due to cloud cover, rain or high winds. Green Island Tours reserves the right to postpone or cancel tours when atmospheric conditions are not conducive to stargazing. In such cases, a full refund will be offered. Customers have the right to cancellation up until 10:00PM on the night before the tour commences, after which the full payment will be required. Green Island Tours recommends that customers book the Stars to Sunrise on the first available night's stay on the island so that tours are able be postponed to a following night if weather conditions are not suitable for stargazing on the date of booking. Pick-up times may change depending on the time of year you make your booking. Green Island Tours will contact you in regards to the pick-up time on the lead up to your tour. Pick-up from your accommodation between 5:00AM-6:30AM depending on the time of year.